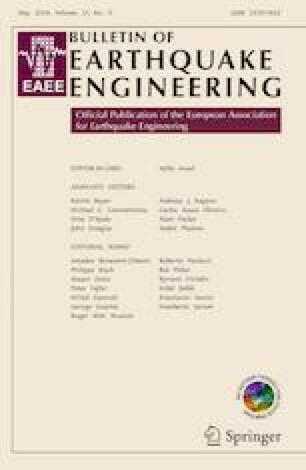 The article addresses the seismic vulnerability assessment of a typology of unreinforced masonry buildings constructed in Lisbon between the nineteenth and the twentieth centuries. The main architectural and structural features of these buildings are presented. This supported the identification of the main uncertainties affecting their seismic performance and the definition of classes of buildings representative of the typology. The seismic assessment includes the generation of fragility curves that combine the in-plane and out-of-plane response following different criteria and methods of analyses. The results put in evidence the seismic vulnerability of this class of buildings. Considering the earthquake-resistant code for Lisbon with a return period of 475 years, about 50% probability of having heavy damage and about 30% probability of collapse were estimated. The structural intervention on these buildings is urgent in order to reduce losses due to future earthquakes. Further studies for the assessment of similar buildings in Lisbon and elsewhere can be developed using the adopted procedure. The first author would like to acknowledge the financial support of Fundação para a Ciência e a Tecnologia (FCT, Ministério da Educação e Ciência, Portugal) through the scholarship PD/BD/106076/2015 through the FCT Doctoral Program: Analysis and Mitigation of Risks in Infrastructures, INFRARISK- (http://infrarisk.tecnico.ulisboa.pt). The authors would also like to acknowledge the contribution from Bruno Silva (Instituto Superior Técnico) and Nuno Mendes (University of Minho) regarding the ambient vibration tests.